Ready to sign up? Hit the SIGN UP tab here or in the menu bar. Buti Yoga is a powerful blend of tribal dance and primal movements, plyometrics, and vinyasa-style yoga. It is not your guru’s yoga. Buti is for the boss babes. Buti is for every woman and any man comfortable enough with his sexuality. This unique style of yoga incorporates movements that our bodies crave, and that our body’s systems flourish from. Our hormones are balanced, our chakras are aligned, and we nourish the health of our endocrine system. In short, Buti Yoga packs a BIG punch. Buti unlocks your full potential; it activates the spark that dwells deep within you waiting to be let out. It celebrates your feminine energy. It celebrates everyone’s feminine energy. Because you don’t have to be female to have feminine energy. Everyone has shades of masculine and feminine, light and dark, yin and yang. 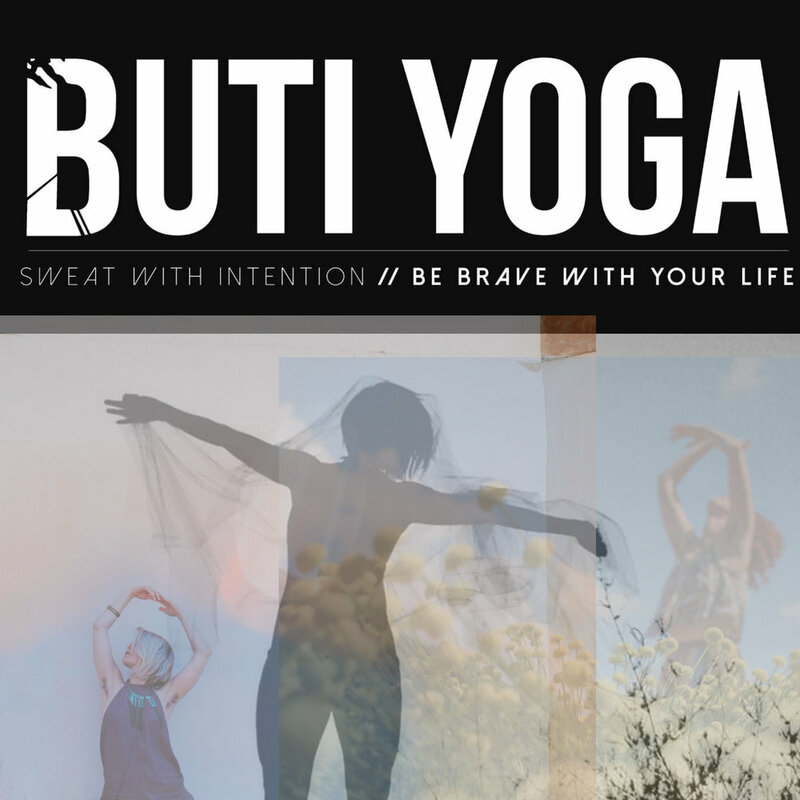 “Buti” is a Marathi Indian term for “the cure to something that’s been hidden away or kept secret.” Buti Yoga is a practice of going within to discover your true power and full potential. It becomes the cure to any previous disillusionments of fear, lack, or weakness. This Power Vinyasa Yoga Flow class links flowing movement with conscious breath. This class will be for those seeking a physical workout that still connects back to the breath, heart & mind, and who are ready for a more vigorous training. This style is designed to transform the way you think, feel & move, increasing physical capabilities in line with a conscious mind, as well as guide to to the euphoric feeling! This Vinyasa Yoga Flow is more tranquil, meditative & focused in nature, with a stable, self-centering energy. This class offers emphasis on safe alignment & slow breathing to maintain balance. The pace will vary, but will always guide you towards mindful awareness of breathing. This class is well-suited to newer students, or those seeking deep concentration within their practice. This dance class is for all levels because in this hour, there is no such thing as levels. This is an hour of sacred and connecting dance with a gently-guided phase of "liberated" movement. There's no right or wrong way to practice. All dance is free-form, unguided, authentic to you. You may sit or stand in stillness, meditate, or even just walk around the room. How you choose to honor your sacred, conscious hour is yours. The invitation is this: to dive inward and find the place inside your body where magic and wonder are alive, tap into intuition, & discover your own authentic movement expression. You are invited to reconnect with your flow. In that flow, you may experience healing, self-connection, vision & insight. We will wind down with meditation & occasionally sound-healing. Join us for a fun, playful, and freedom-enhancing evening!